A Most Diabolical Plot, by Tim Symonds & Lesley Abdela, is a modern addition to Sir Arthur Conan Doyle’s infamous Sherlock Holmes series which feels as authentic as the original. The authors of this intriguing collection do very well in telling new stories while remaining true to Conan Doyle’s style and approach – not an easy thing to do. 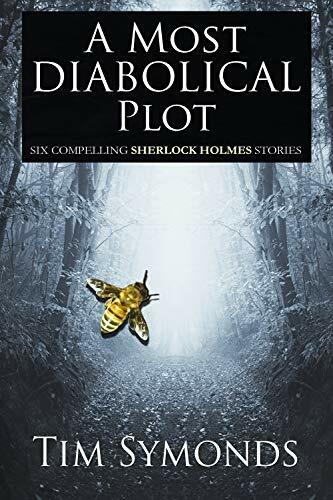 A Most Diabolical Plot is a collection of six stories featuring both new and classic themes, as well as characters that fans of the genre are sure to fall in love with. Each of the stories is unique and each story feels fresh as the reader progresses through the adventures. If we were able to take Sir Arthur Conan Doyle and place him in this century and then tell him to write as though he were living in an earlier era, he very well might come up with lines such as the ones found in A Most Diabolical Plot. Language-wise, Tim Symonds and Lesley Abdela hit the mark of the late 19th Century style employed by Doyle, but it is in the modern approach and conversations between characters where things begin to get interesting. The authors easily succeed in making the reader feel at home in a world long past, while not sacrificing the tone required to make the genre work. The use of backstory which comes about in the mind of the narrator, Dr Watson, is also cleverly carried out. 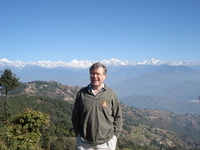 There is just enough information injected into the stories to both inform the reader and connect the new stories to classics that Holmes’ fans will already be familiar with. The first story in the series is a perfect example. It is a continuation of The Empty House which was part of famous book, The Return of Sherlock Holmes. Colonel Sebastian Moran is back to battle wits with everyone’s favorite detective! Apart from the convincing language conventions used in A Most Diabolical Plot, the clever connections to the original series, and the wealth of complex imagery help in setting the scene, Symonds and Abdela did well to replicate the story arcs found in the originals as well. The beginnings of each of the six stories, go into great detail to set up the cases and atmosphere. Then, when the reader is situated securely within the story, Sherlock and Watson work their magic as only they can. A Most Diabolical Plot is an easy book to recommend. It checks all the boxes that a good detective novel styled after 19th Century entertainment should. There is mystery, excitement, intrigue, and even a bit of reverence for the clever Mr Holmes. All in all, it is a riveting read which deserves a five star rating. The authors are sensitive to the needs of their fans, both new and those familiar with the famous series, and it seems they had a lot of fun putting these stories together.